Camp Douglas, WI — On February 23, two peace activists with Voices for Creative Nonviolence, Brian Terrell and Kathy Kelly, were arrested when they attempted to deliver a loaf of bread and a letter to drone operators at Volk Field, an Air National Guard Base in Wisconsin which trains pilots to operate Shadow Drones over other countries. Voices activists have lived alongside ordinary people in Afghanistan, Pakistan, Iraq and Gaza. People who can’t flee from drone surveillance and attacks have good reason to fear people from the U.S., but instead they have broken bread with Kelly and Terrell and have welcomed opportunities for deepened mutual understanding. Kelly and Terrell carried the loaf of bread to signify the worth of relying on words rather than weapons. 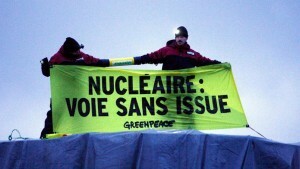 On the morning of February 12, Greenpeace activists stopped a truck near Caen, France which carried the head of the vessel of the EPR nuclear reactor under construction at Flamanville (Manche). 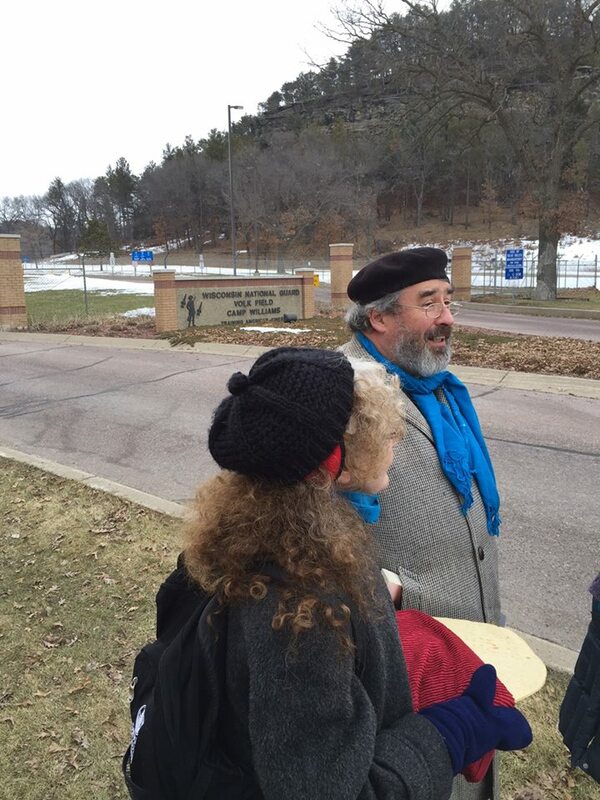 Thirteen activists were arrested and held in custody for a few hours. They were charged with obstructing traffic. The convoy left the Areva plant in Chalon-sur-Saône (Saône-et-Loire) on Monday morning, headed towards Normandy. Greenpeace members had arrived at around 7:30 a.m. in the parking lot where the truck was parked in the town of Evrecy, 20 km southwest of Caen.